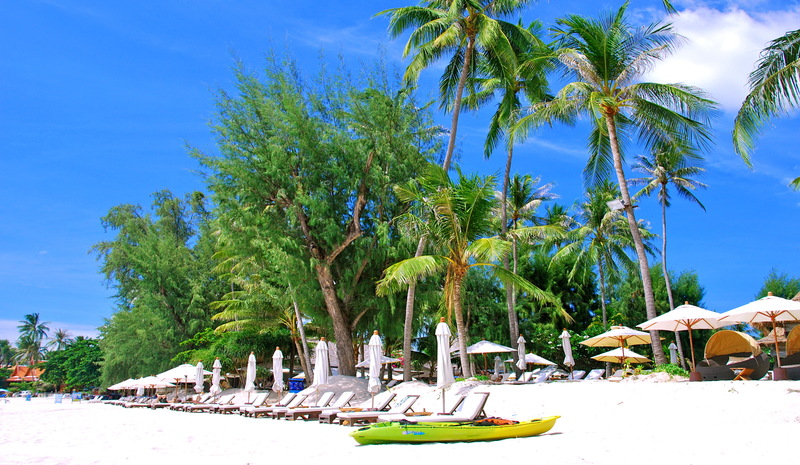 Choeng Mon Beach is a leisurely 10 minutes drive to the north of bustling Chaweng Beach. 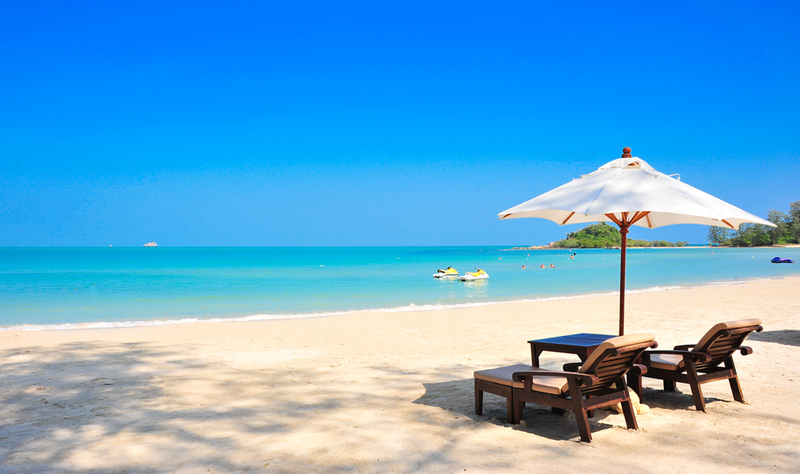 This protected beach is situated on the north-eastern coast of Koh Samui and is only 2 kilometres south of the Island’s most visited tourist attraction, Big Buddha and 5 minutes from Samui International Airport. Travel a further 2 kilometres and you will be at Banrak Beach, the main departure point for the infamous Full Moon Party in Koh Phangan. 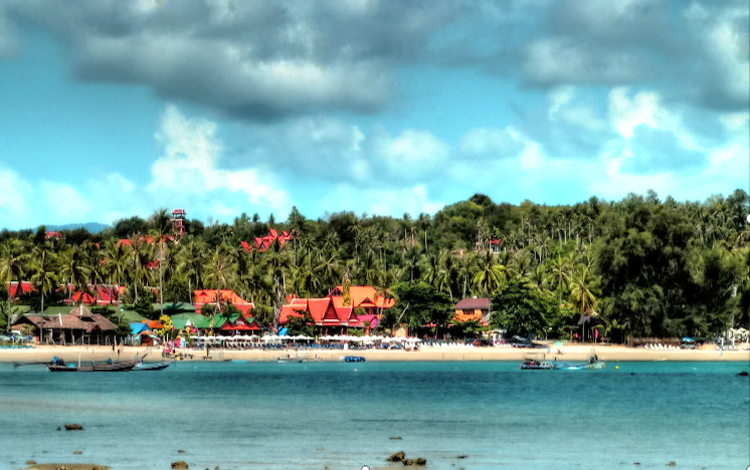 Choeng Mon is close to the action packed Chaweng, most attractions and the airport, yet, far enough away to have maintained some typical Thai culture, charm and a leisurely holiday atmosphere. 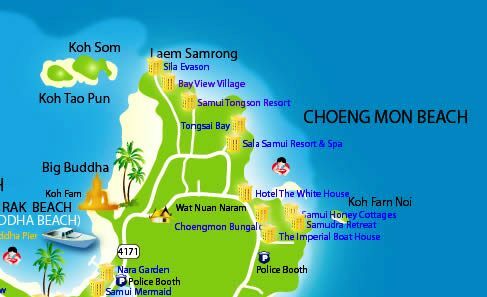 Choeng Mon’s main beach is lined with hotels, restaurants and bars on one side and the well protected, warm tropical water on the other. Choeng Mon Bay receives protection having mainland Samui on 3 sides making it a safe and a very popular swimming beach with locals, especially those with young families. Beach Vendors are always around and you can buy drinks, Thai food and souvenirs at any time of the day. A long-time favourite vendor on Choeng Mon Beach is Mr Coppi. He can be seen from about 11:00 each day, setting up his beach kitchen, and drawing the crowds for his grilled buttered corn on the cob, grilled chicken with sticky rice and fresh fruit. 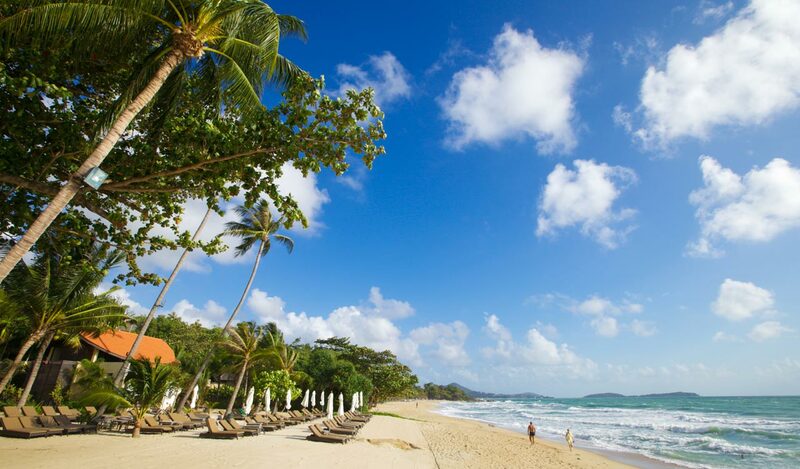 Many resorts, ranging from high-end to mid-range bungalow types, line Choeng Mon Beach. Sun-beds are in abundance, serviced by hotels and restaurants. Koh Fan Noi sits just offshore, and can be reached by foot at low tide, making for interesting exploration with children. As the sun sets the beach that you see in the daylight converts into an esplanade lined with restaurants and bars, amazing!